The very goal of our society is to establish scientific and researches in different countries that will focus on engineering, specifically including energy, chemical technologies, and environmentally friendly processes. Therefore, the first international conference of Engineering Science and Chemical Technologies will be held in Houston, TX in September 2014 in order to exchange scientific ideas between researchers, practitioners, industrial experts and university professors. We’re planning to provide a research atmosphere for every attendant to benefit from. 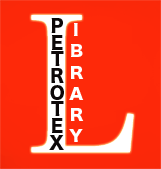 It is our pleasure to benefit from your precious membership in the Scientific Committee of Petrotex. We hope this will be the beginning of a great cooperation between our committee and other industrial and scientific institutes.